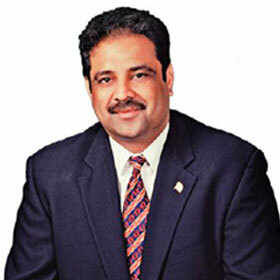 Danny Gaekwad, CEO As a first-generation entrepreneur with more than 25 years of experience in building successful businesses from the ground up, Danny Gaekwad, President, NDS Global is no stranger to the hardships of entrepreneurship and its rewards. Today, there are numerous IT vendors who provide many generic IT services. However, “the IT projects and proposals rarely get converted into real business values,” opines Danny. NDS Global stands out by specializing in certain niche areas and providing enterprise architecture services. They are a next-generation IT services company that specializes in enterprise IT solutions, cloud, mobility, and analytics. “We ensure that our solutions meet not only today’s needs, but also the future needs of customers in terms of scalability and business growth,” claims Danny. Danny has always gone a step further to provide exceptional value to clients, striving to exceed customer expectations is one of his important tenets. As today’s IT companies are focusing on being more customer-centric, “putting yourself in the shoes of the customer is crucial,” comments Danny, and this way of life is an integral part of NDS Global’s DNA. “It is not about limiting oneself to the scope of work defined by the customer, but going beyond and investing into a customer and becoming a part of their strategy and vision,” he adds. This need for better end user experience bleeds into the manufacturing sector as well. As much as the manufacturing industry has been focused internally to make sure that they have every system automated and integrated, “they need to start leveraging technology to extend that unified experience to customers and sales channels,” observes Danny. Integrating this tightly with their enterprise will allow the next level of growth and sustenance for manufacturers. NDS Global’s solution integrates E-commerce, Enterprise Resource Planning and Customer Relationship Management systems, enabling manufacturers to tie-up their entire dealer-distributor network. Furthermore, manufacturers desire for systems that can give a 360 degree customer view and NDS has the technology and expertise to help them achieve that. The company also builds integrations that connect Manufacturing Execution Systems with ERP and CRM systems, providing manufacturing companies a far better control over their processes. NDS has a team of talented IT professionals who have delivered a diverse range of successful projects for manufacturing firms, including the rolling out of Project Management solutions through MS Project Online for a global pharmaceutical’s new product launch, to highly scalable MS Dynamics CRM and mobility solutions that integrated sales staff across 26 countries on a single unified platform. NDS has also been able to complete successfully complex integration of B2C E-Commerce platforms such as Demandware and ShopVisible, with Microsoft Dynamics AX 2012 for a large global manufacturing company. Further to the implementation, NDS continues to have a long lasting relationship with the customer by supporting these implementations with a team of dedicated software support professionals who are available 24X7 for end user, technical and administrative support. “Our philosophy of Architect-Integrate-Support has led to amazing customer experiences and satisfaction for our manufacturing clients,” says Vikram Bharwada, COO of NDS Global. Unlike other IT service companies who provide run-of-the-mill services, NDS invests into the architecture of the desired system including right technology framework, scalability, and ROI. They amalgamate multiple components and systems to accomplish well-integrated unified business processes. “We have strong, reliable, and flexible support models for all Microsoft Enterprise products and solutions,” asserts Danny. NDS implements Microsoft Dynamics AX solutions for agile, flexible, and tightly integrated business operations via scalable and cost-effective solutions that are designed to boost business productivity and profitability. Leveraging the Microsoft certified Sure Step methodology, the company’s solutions go beyond sales, marketing, and service to deliver industry-specific capabilities. “We work with our clients as preferred partner for their enterprise IT needs,” states Danny. After laying out the architectural blueprint, NDS brings in its certified technology specific consultants who have worked in a similar industry and have vast implementation experience under their belts to drive the IT initiatives and build a successful enterprise. “In our experience with implementations worldwide, we have gathered that user adoption of a system can only be assured if there is adequate and specifically designed training sessions on the system for end users,” says Danny. NDS has a team of specialized training professionals who create user manuals for system users and work with them on focused training workshops for faster user adoption. “Creating an effective platform for collaboration is essential for all modern manufacturing enterprises,” remarks Danny. Leveraging Microsoft Office 365, Microsoft Lync, SharePoint, and Yammer, NDS’s Enterprise Collaboration services transform their clients businesses by connecting people, improving content sharing and optimizing processes with services for unified communications, social computing, content management, portals, and applications. Having gained an extensive experience from working with the finest businesses in a variety of industries across the globe, NDS has the competency to provide enterprise solutions on Microsoft stack regardless of the industry. However, the company has built deep expertise in verticals such as BFSI, manufacturing, professional services, retail, and pharmaceuticals. One of their clients, a global manufacturing company, had difficulty in managing resources spread across multiple countries. Projects executed centrally as well as from distant locations put forward a challenge of communication among project teams. NDS and its team of IT architects stepped in and used the Sure Step methodology during the implementation process wherein they centralized deployment of Microsoft Dynamics, consolidating and leveraging customizations in projects across the organization. “We seamlessly integrated with various Independent Software Vendor products like RF SMART, Bar Tender, EDI and ensured seamless upgrade from AX 2012 to AX 2012 R 2,” Danny reveals. At the end of the day, the integration of dynamics with Supervisory Control and Data Acquisition systems provided a staging platform for manufacturing plant supervisors to analyze data from both the systems, giving an edge to decision making on plant floor and the advantage of accurate reporting. With Danny at the helm and a steady growth rate of 70 percent for the past 3 years, NDS is keen on adding about 30 percent new employees every year. “Going forward, the company aims to grow organically and inorganically by expanding its offices in India, U.S and Middle East by next year,” concludes Danny. Providing unmatched value in consulting, implementation, integration, and support of Microsoft enterprise solutions as well as cloud and productivity solutions for the manufacturing industry.